An effective website is easy to use, navigate and assessable to its users. The Graphical User Interface plays a key role to make a great website. At Syscomcraft, we understand the functionality of websites well and go through the process of detailed planning to make sure that the resultant website gives the users a smooth user experience. With years of experience into web designing, our expert designer knows how to create the best website for your users. With usability and accessibility always on our mind, we always aspire to give an exceptional user experience. At Syscomcraft, we always keep the key things in mind to create an effective Interface for your website. It is of prime importance to decide on the needs of the website before diving-in to design it. 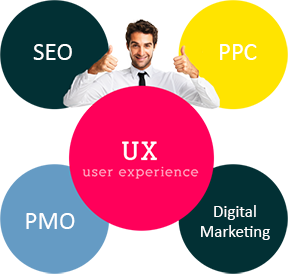 Users of the website should be involved in the designing process to understand their perspective and functionality expected from the website. The search and advance search options should be customized keeping in mind the complexity of the website. Usability testing with real users should be done to get real time feedback. Interface should be simple and consistent. Prototypes of the interface should be created before creating in the real website. Taking a look at competitor websites helps access what is like and disliked by the users. For great interfaces and exceptional user experience, get in touch with our experienced team today.